Huntington Ingalls Industries' (HII) Ingalls Shipbuilding division has donated $53,640 to Mississippi Gulf Coast Community College (MGCCC) for the purchase of welding machines to be used at the school's new Transitions Academy. The academy will be housed at MGCCC's West Harrison County Center in Long Beach, Miss. "Ingalls Shipbuilding and MGCCC have a longstanding partnership in workforce development and training," said Brian Cuccias, Ingalls Shipbuilding president. "This donation solidifies our commitment to continuing this partnership and the ultimate goal of growing the number of skilled professionals on the Gulf Coast." The academy will offer adults 18 years of age or older who do not possess a high school diploma the opportunity to pursue a GED certificate and college coursework credit simultaneously. The programs will utilize an innovative approach for the students to learn their skills. Welding technology has been selected as one of the programs to be offered. 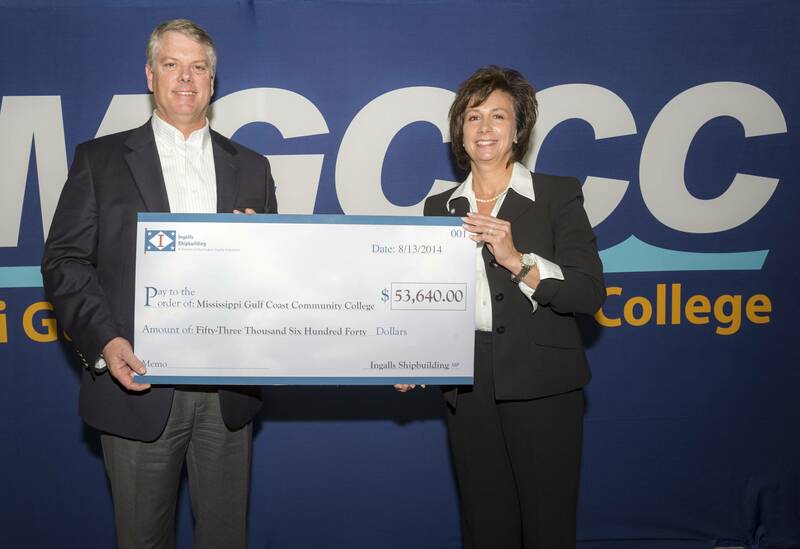 "We are extremely appreciative of the $53,640 donation from Ingalls Shipbuilding," said Mary S. Graham, president of Mississippi Gulf Coast Community College. "This donation will be used to purchase welding machines to train Transitions Academy students working to advance their education and learn a high-paying, in-demand trade as well. For more than 50 years, Ingalls has been a strong industry partner with MGCCC. Together we have worked to implement innovative, successful programs to train and educate the workforce in South Mississippi."